A perfect fit for tiny tots! 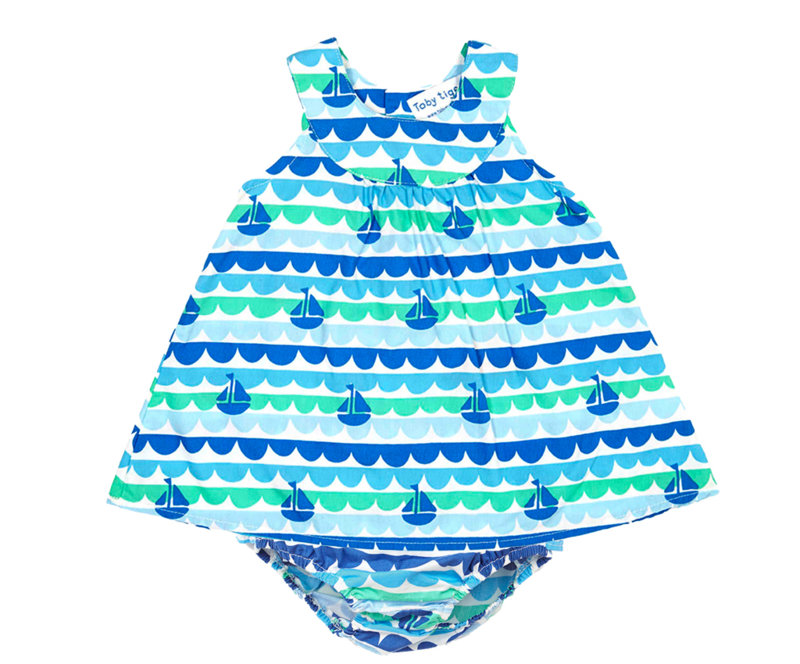 This delightful boat print baby dress and pants set is a treat for the eyes – just pair with a matching sun hat for a perfect summertime outfit..
Tots will be ready to set sail for a far off land in this little blue baby girl dresses! 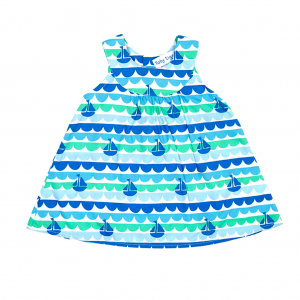 Perfect for that summer holiday by the sea, this lightweight cotton dress and pants set will keep baby cool, comfortable and looking sweet as can be all day. Comes with four buttons at the back to make changing a breeze. Don’t forget to protect your little one’s head too: our matching sunhats are a great choice for finishing off this sunny look!